G. A. Baert Construction Ltd. 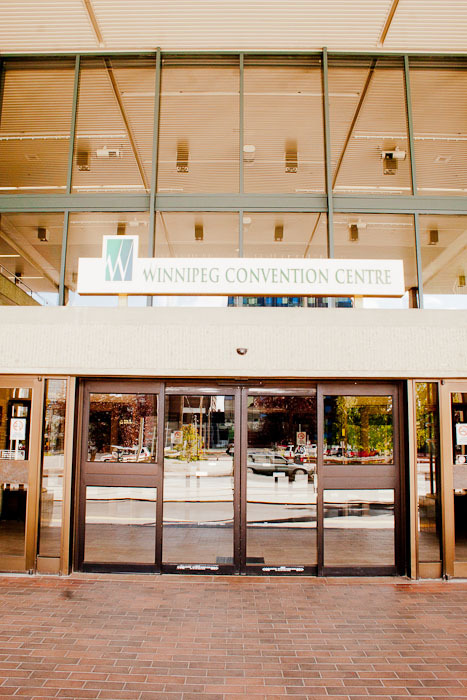 Designed by Number Ten Architectural Group and LM Architectural Group, the Winnipeg Convention Centre at 375 York Avenue was constructed between 1972 and 1974. 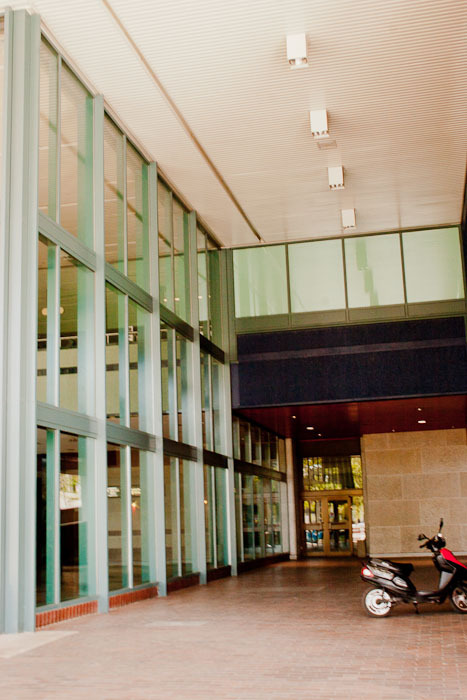 Principal designers Isadore Coop and Gerald Libling led the design team to create a concept for the new centre. 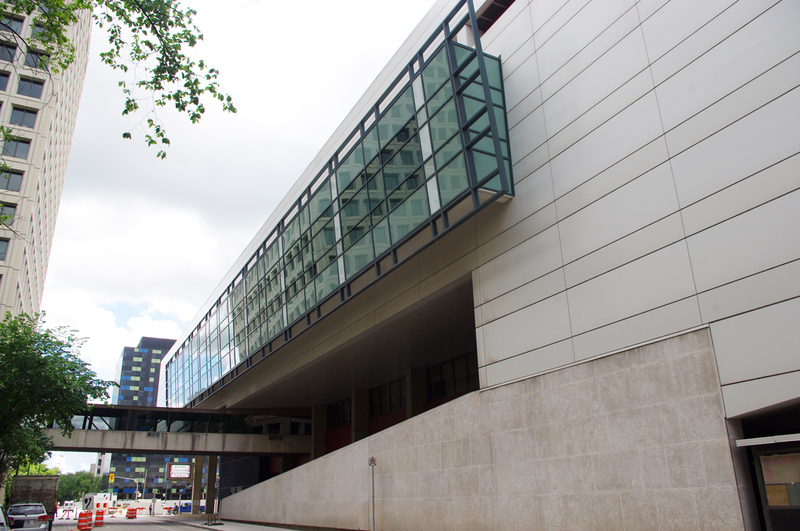 The final design presented a monolithic but visually simple square-shaped exterior, clad in Manitoba Tyndall limestone, concrete and glass. 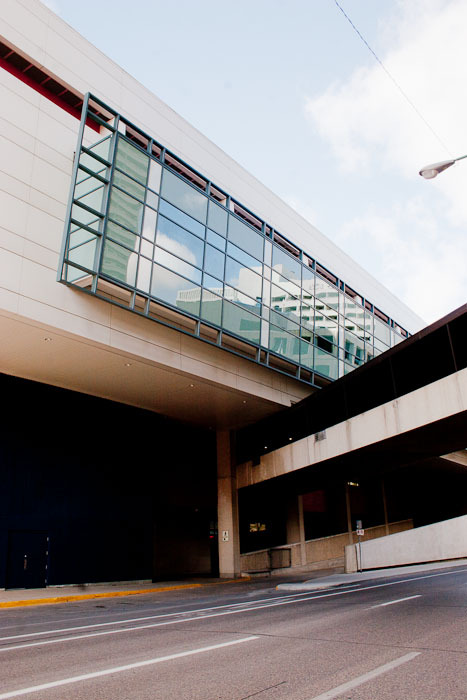 The three storey building (with two levels of below grade parking) is accessed through entrances on each elevation, but has a primary entrance on York Avenue, and an enclosed second level skywalk to the adjacent hotel. 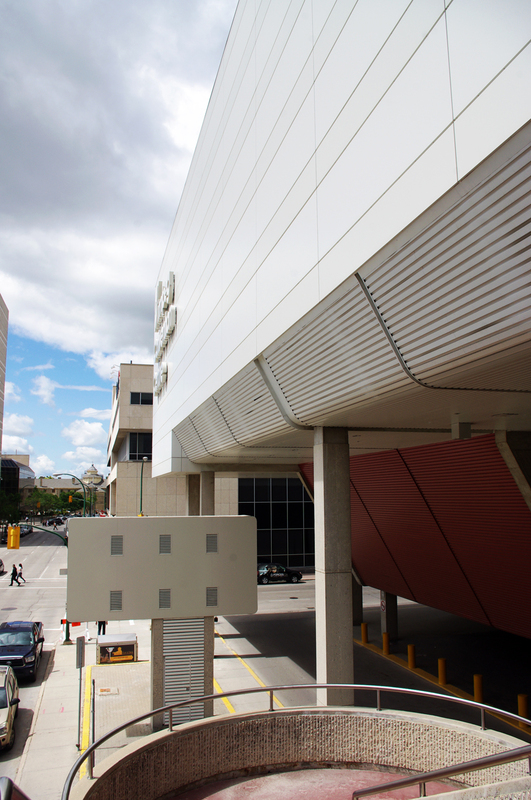 In a Winnipeg Tribune article from January 10, 1975, one of the principal designers, Isadore Coop commented that the simple exterior of the building minimized the relatively large size of the project, and aimed to be sensitive to future development in the area. 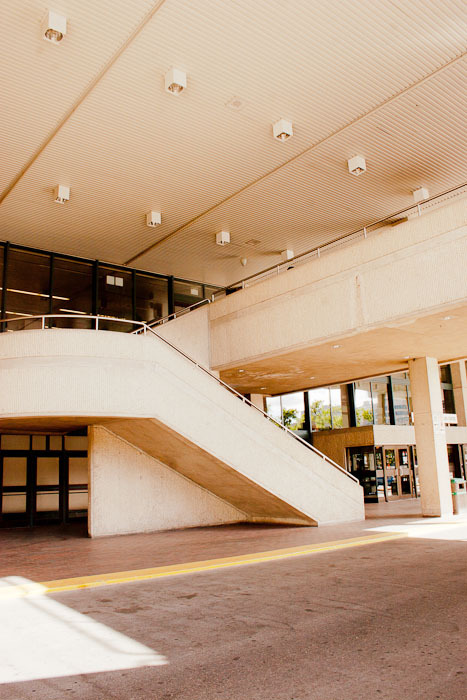 Coop also commented that the most challenging architectural and engineering design problem was the placement of a large open plan exhibition area on the third floor, leaving the first two levels available for other services. 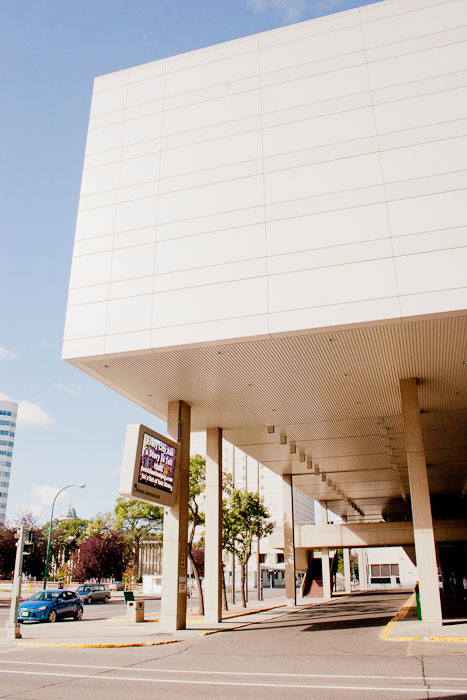 While plans for the convention centre were enveloped in a larger ‘Downtown Development Plan,' that included the nearby Lakeview Square development, all projects were intended to stimulate not only the construction industry but also the commercial viability of the downtown district. 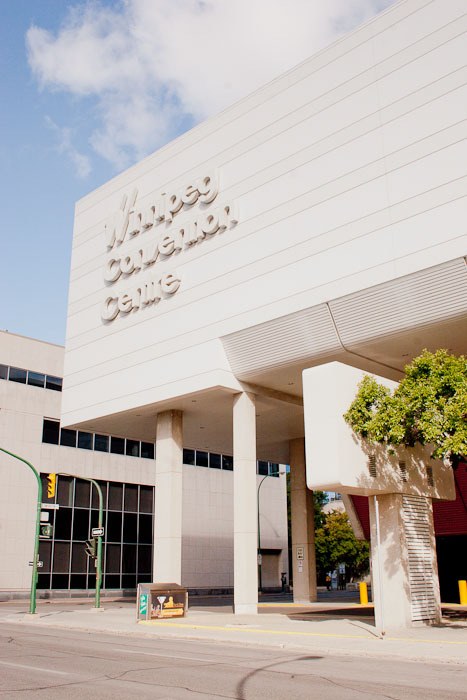 The ‘Development Plan for Downtown Winnipeg’ was originally created by the Planning Division of the Metropolitan Corporation of Greater Winnipeg and received official provincial approval in May 1970. 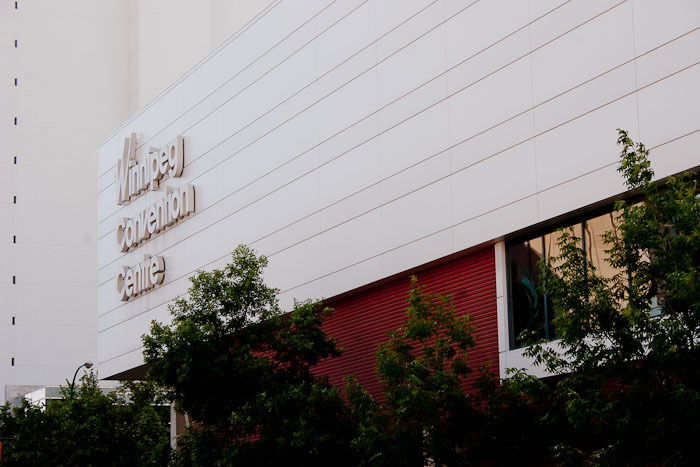 The decision to construct a large convention centre grew out of a desire for increased economic investment in surrounding businesses; groups of potential consumers drawn into the city by large conventions provided the promise of just such an opportunity for the area. 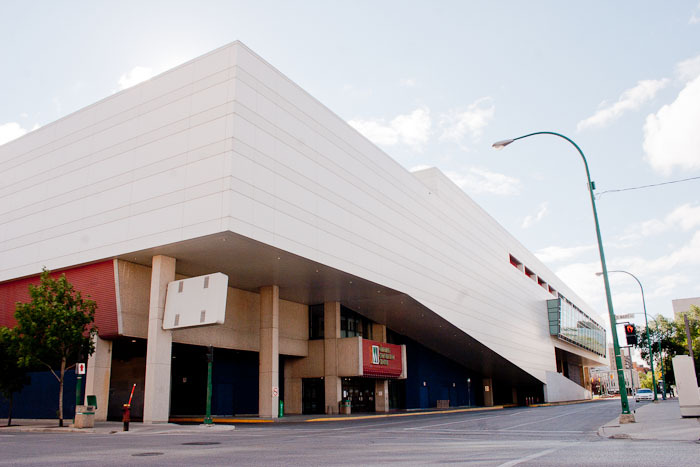 "Brilliant opening for Convention Centre," Manitoba - Canada's Number One Sun (formerly Manitoba Industry and Commerce Bulletin) 30, 1 (January/ February 1975), pp. 2-4. 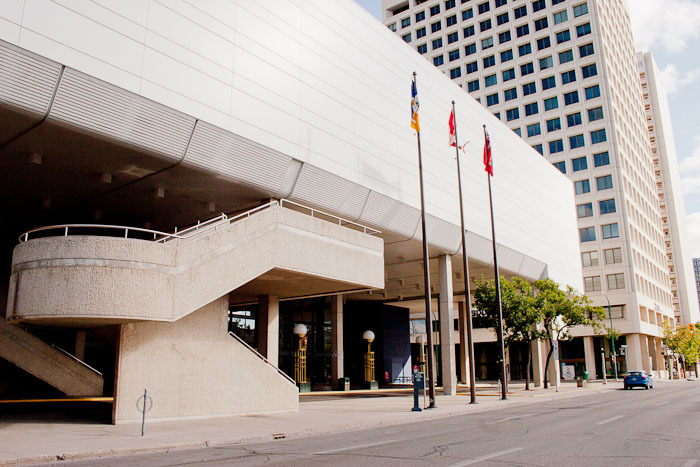 Muriel Campbell, "Convention centre a real town hall," Winnipeg Free Press, November 22, 1998, p. B5. Martin Cash, "A most conventional place," Winnipeg Free Press, June 15, 1995, p. B9. "Construction Imminent as Downtown Development Plans Crystallize," Greater Winnipeg Industrial Topics, 30, 7 (December 1970), pp. 2-3. 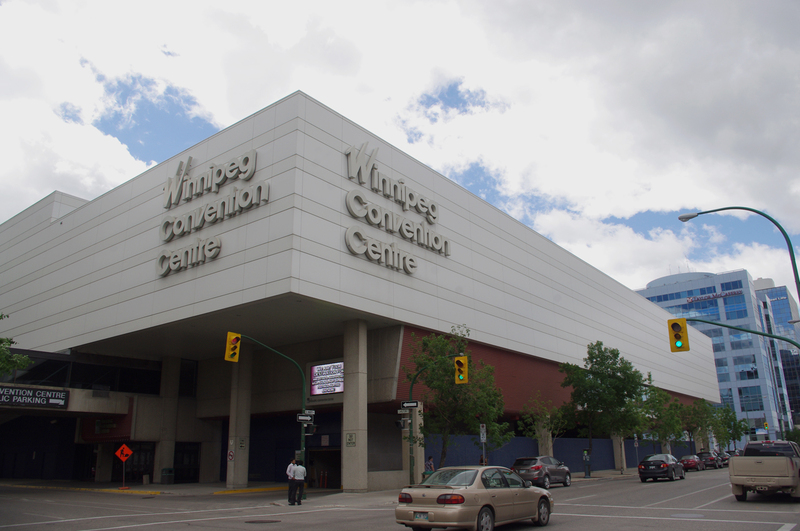 "Convention centre expansion won't take place," Winnipeg Real Estate News, February 17, 1984, pp. 1-2. 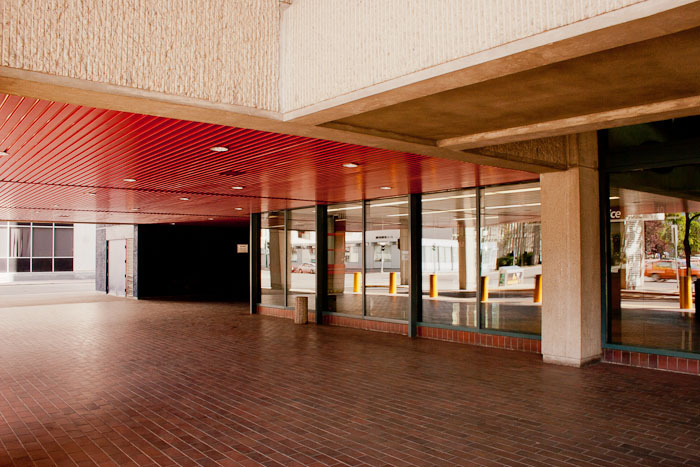 "Convention Centre Special," The Downtowner, May 8, 1985. 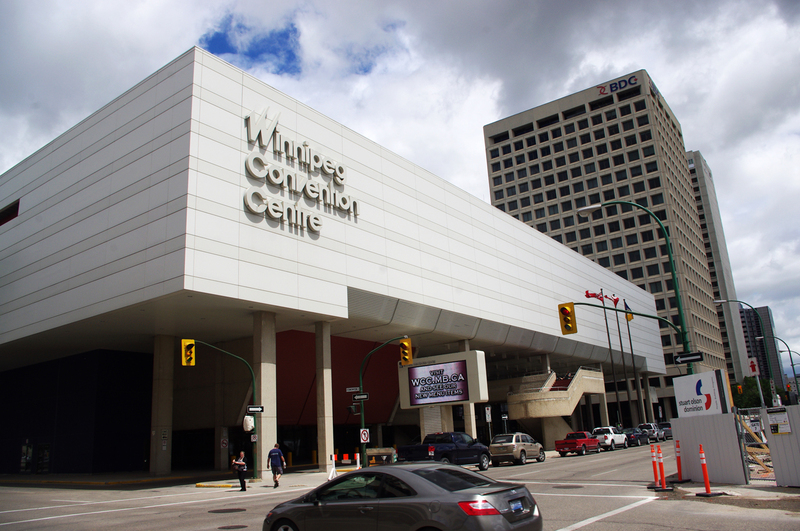 "Convention Centre 'swings' open," Winnipeg Tribune, January 12, 1975, p. 1. "Drawing board to reality," Winnipeg Tribune, January 10, 1975, p. 16. "Fifty Million Dollar Downtown Plan Announced," Manitoba - Canada's Number One Sun (formerly Manitoba Industry and Commerce Bulletin), 22, 7 (October 1970), pp. 14-16. 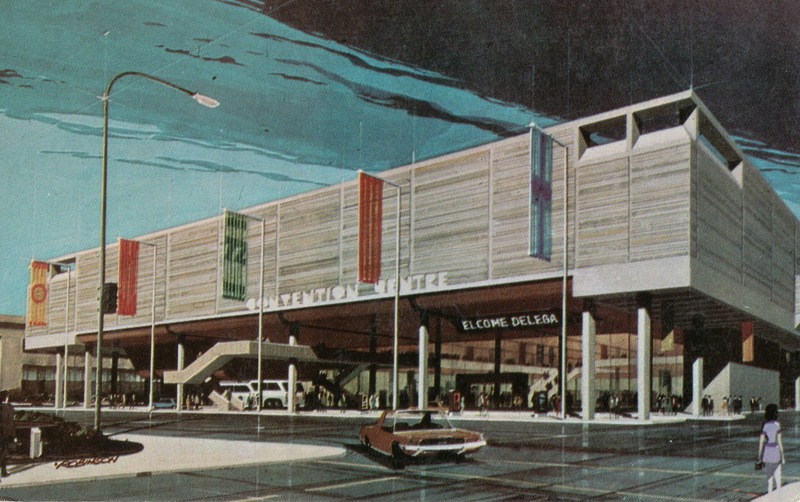 "$50 Million Project Will Spur Construction , Tourist Industries," Manitoba Business Journal, 6, 8(September 1970), pp. 12-14. Jonas Lehrman, "Downtown Winnipeg: A Need for New Goals," The Canadian Architect, 20, 6 (June 1975), pp. 45-54. 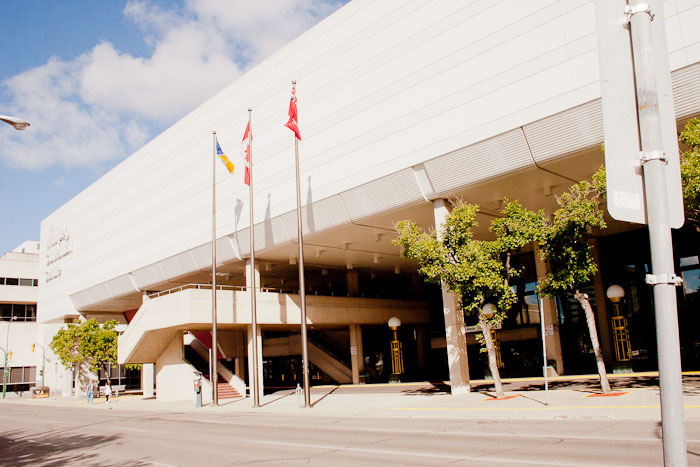 "Libling Michener and Associates: Winnipeg Convention Centre," in Stelco Tren #42 as found at: Winnipeg Public Library, St. James Library, vertical file on "Winnipeg - Convention Centre." Philip Mathias, "Winnipeg rolls up development sleeves," Financial Post, December 19, 1970, p. 18. "New Manager Welcomes Challenge," Winnipeg Industrial Topics, 33, 6(December 1973, pp. 2-7. Paul Pihichyn, "Splendor Marks Opening of New Convention Centre," Winnipeg Free Press, January 15, 1975, pp. 1-2. 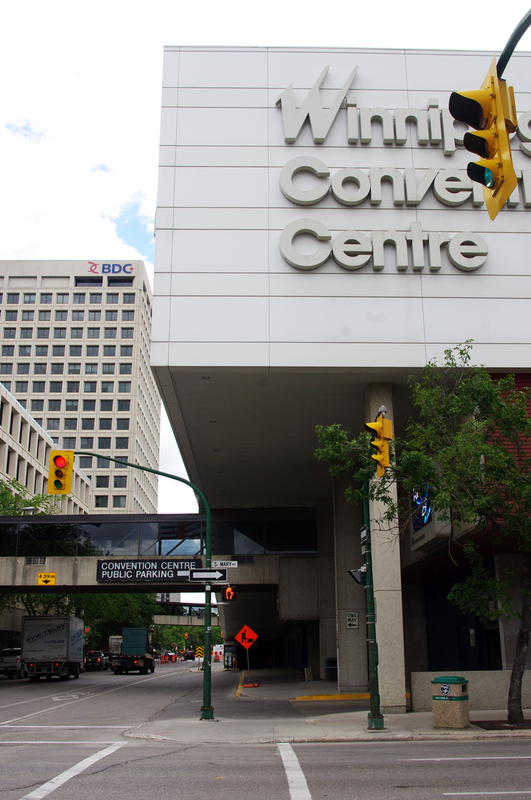 Ross Romaniuk, "Convention Centre Fire Included in Core Area Epidemic," Winnipeg Free Press, August 29, 1999, p. A3.